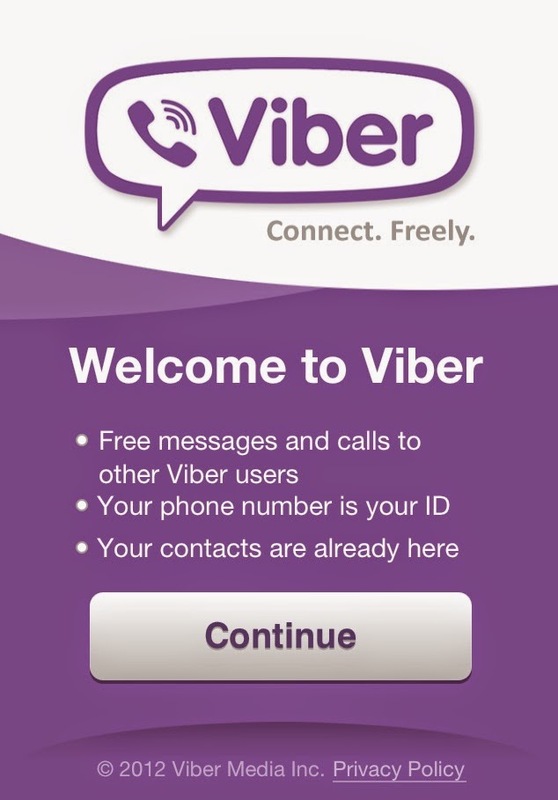 Viber for Windows is a freeware for sending message and making calls to other Vibers users no matter what device or network they are are using. 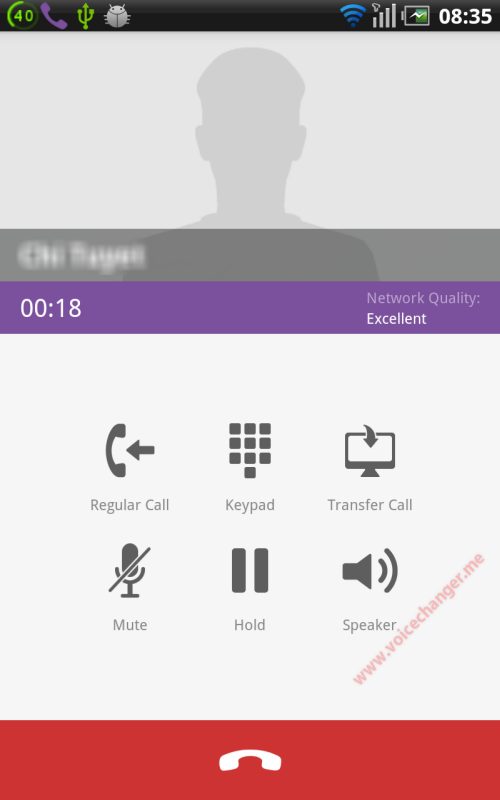 In this tutorial, I will show you how to use AV Voice Changer Software 8.0 Diamond to change your voice in real-time when making calls with Viber. **This time, the real-time changed voice will take effect for both targeted PC and phone. Viber is cross-platform program available on Windows, Mac, iOs, Android, etc. Download latest version of Viber for desktop here. 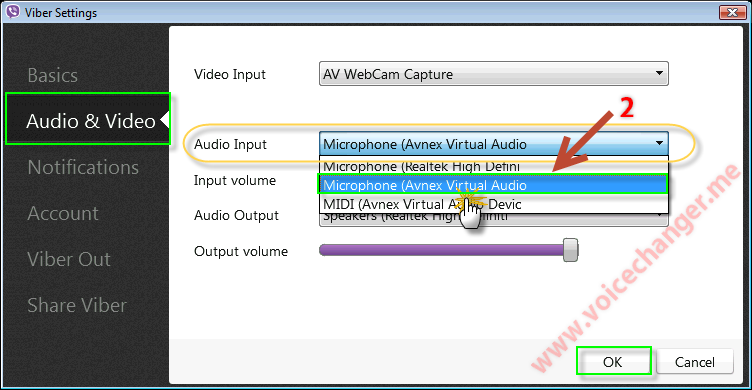 Via the Viber Settings windows, select Audio & Video tab » select Microphone (Avnex Virtual Audio Device) as default input device for Audio Input settings. Hit Ok button to save the settings and close Settings window. From now on, if you want to hide your real voice (have your voice changed) when making calls from PC to PC or PC to phone with Viber in real-time, you just need to run the AV Voice Changer Software program before joining into the video calling. Please be noticed that you can make calls to certain PC or phone with appropriated version of Viber installed only. The following tips should be useful for you to learn how to set your up a cool enough nickvoices before joining into chat session with your partners. ** Disguising your voice can be an enjoyable entertainment or skill to develop, especially if you are interested in acting. Playing pranks on friends can be fun too, but be careful not to push it too far ^^. In this case, the program would be helpful for those who want to be anonymous as much as possible while having a remote medical-examination with your experts. Buy Full version of the Viber real-time voice changing program (AV Voice Changer Software 8.0 Diamond) now! Hey,Thank you for sharing such an amazing and informative post. Really enjoyed reading it. Thanks, can't wait to do this!